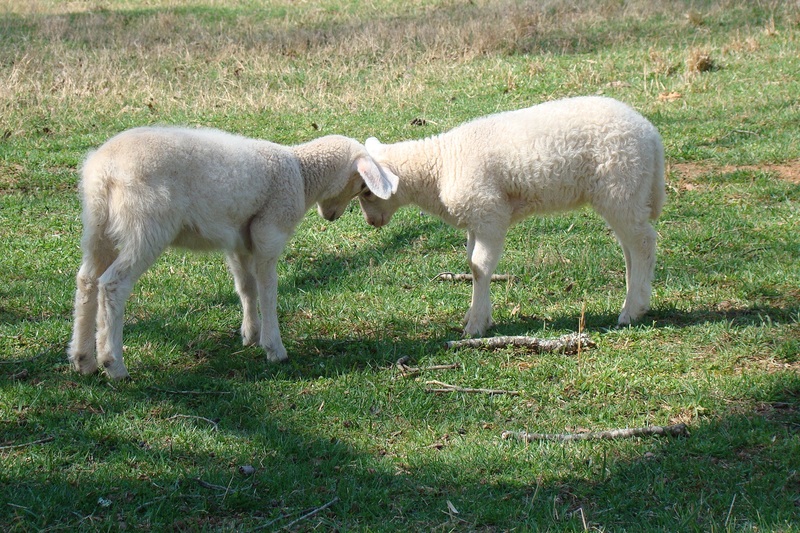 Lambs love to play by butting heads. So do the kids. The sheep kind of grow out of it but will still use their heads to protect themselves. We still see our grown goats challenging each other on occasion for no apparent reason. Maybe it’s just for fun… like when they were kids.